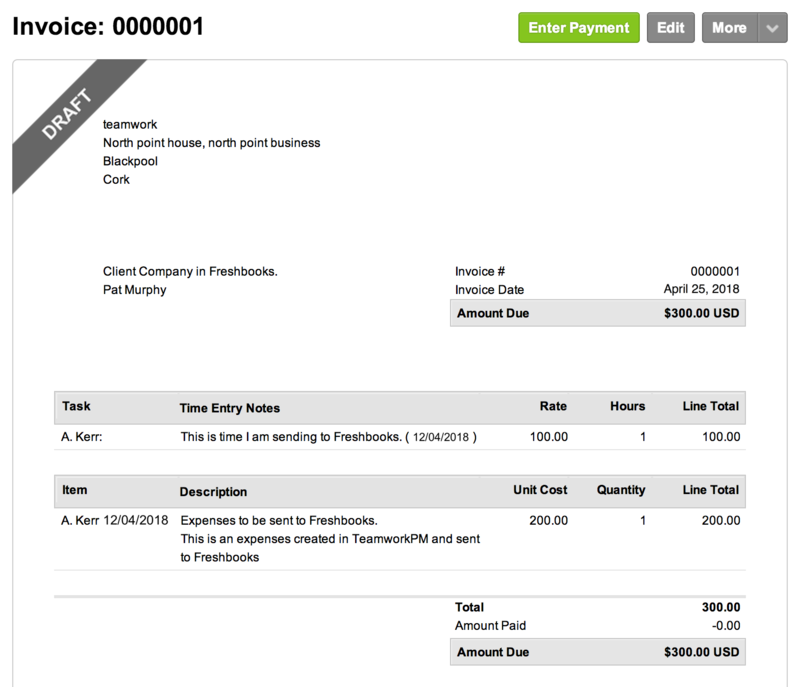 Within Teamwork Projects, you can choose to export an invoice in a project to your FreshBooks Classic account. You will first need to enable the FreshBooks Classic integration in your site settings. In the Billing area of your project, select the invoice you want to export from the invoice list on the left hand side of either the open or completed invoices section. In the bottom left of the invoice, you will have an option to Export Invoice. When you click export, you will see the export options available. 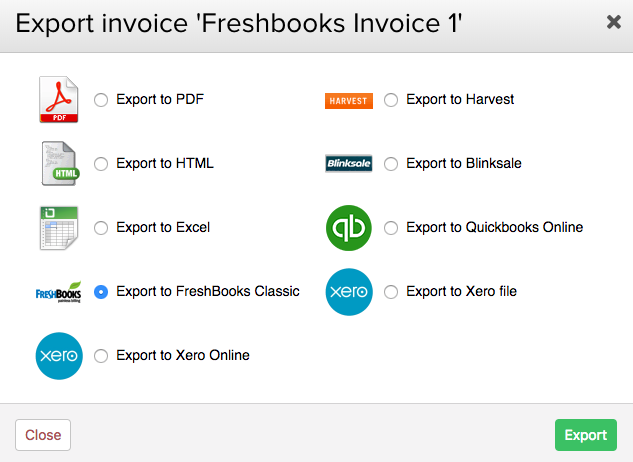 Select the Export to FreshBooks Classic option, and click Export. You can either log this as a new invoice or add it to an already created invoice. Note: This integration is only compatible with FreshBooks Classic accounts.